Wish, Want, Walk. A simple method to better negotiating. In M&A and Strategic Partnerships we negotiate all the time. There are a lot of different techniques and advice on How to Negotiate, all with multiple steps that you can never remember when you’re in the heat of negotiation. Wish, Want, Walk, is an easier way, one that I use because it’s easy for me to remember and it’s effective. In a nutshell, this method will create a mindset that will make you more prepared, allow you to listen better, allow you to respond appropriately, and make you more confident. And being confident is the bedrock of any successful negotiation. Wish: Your Wish is your goal, your dream result. Want: Your Want is where you think the negotiation will end up according to external marketplace forces. It is where the vast majority of deals are closed. Walk: Your Walk is the point at which you will walk away form a deal because it is simply not worth it. It is the point at which you lose money or lose pride or lose status or feel as though you lost and therefore won’t do the deal. This is the fun part. This is where you let your mind soar, your dreams take shape, and your hopes live as clearly and brightly as though they were today’s reality. Don’t limit yourself to what’s possible or probable. By doing this you will uncover the “true value”, to you, of whatever is under negotiation. You can put any value you want on your product, service, or company. Figuring out how to justify your Wish comes later. Right now you are making your Wish. No one is going to value you and your services higher than you do. Your idea of the true value of what you are negotiating is the key factor in setting your Wish. 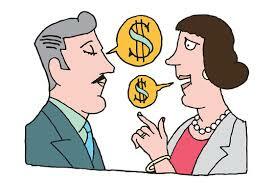 Never open a negotiation to sell something by asking less than the true value you put on them. Remember, if you don’t ask, you don’t get. Let’s face it, most of the time the negotiation is going to end up where the marketplace dictates. No matter who is negotiating the deal, no matter what style of negotiation is used, no matter how much rehearsal goes one, the market is king. The Want is more of a range than a number, but understanding the Want requires a lot of information. You need to know the marketplace or you will have no solid basis for predicting where the deal will close. In technology M&A, industry experts, like investment bankers, can provide an approximate range that the business will sell for. As a result, Price is often the easiest part of the negotiation. It is all the other things you and the other party wants that make the negotiation interesting. And in M&A transactions and Strategic Partnerships there are a LOT of other issues to negotiate! Each of these other issues, such as payment terms, warranties, and lockup periods should have its own Wish-Want-Walk. Just based on how the amount is paid offers multiple levels of complexity and points of negotiation. Based on the information provided it is not possible to tell which is the best offer. There are just too many variables. Wouldn’t it be easy if you simply received an offer for $25 million in cash? That would be my Wish! In principle, the overall deal is not closed until all of the deal points are closed. Always retain the ability to go back and revisit a deal point even though you may have already reached a tentative agreement on that point. Revisit something only when another point is not to your satisfaction and you need to improve something else to put the overall deal in balance. But the Price of the business, while greatly influenced by market conditions and comparable sales of similar businesses, will vary depending on several factors, including who is the other party. If the party interested in buying your business is a private equity firm looking for a bargain, you can expect that their Want will probably be a bit lower than your “fair market value”. If the buyer is a competitor who needs some patents you hold or needs customers you have or needs your distribution channels, the value will be higher to that person so the price will go up. This is what really gives you negotiating power and you need to know your Walk Away point before you enter into negotiations. Setting this Walk Away point goes against nature because most of us do not want to start preparing for negotiation by thinking about the possibility that the negotiation will not succeed. But this is one of the first things you should do. If you’re thinking about selling your company this should be the Fair Market Value of the business as you’ve determined it. I addressed that in an earlier post, What is my Private Company worth? The reason is simple. The other side would not be negotiating with you unless you had something they wanted. They may want it a little or they may want it a lot, but they want it or they wouldn’t be there. With your Walk Away point defined, you have decided before you start the negotiation that you will not give up the things they want unless they make it worth your while and you have decided exactly what that means. They can yell and scream and threaten and cajole, but they are not getting what they want unless they meet a certain threshold price. That’s power. Everyone has a personal style for negotiating. But it isn’t the style that matters, it’s the preparation and the confidence. Knowing your Wish-Want-Walk will prepare you for the negotiation and allow you to more successfully get what you wish for. This negotiating strategy is set forth by Michael C. Donaldson in his book, Fearless Negotiating. It’s an easy read and I recommend you take the time to read it to fully understand the subtleties and nuances of this method in greater detail. If you’re wondering how you build a company that you can sell for a premium in a few years, contact me to discuss the Valuation Amplification Process. Love it. Wish want walk is an awesome way to utilize your method.